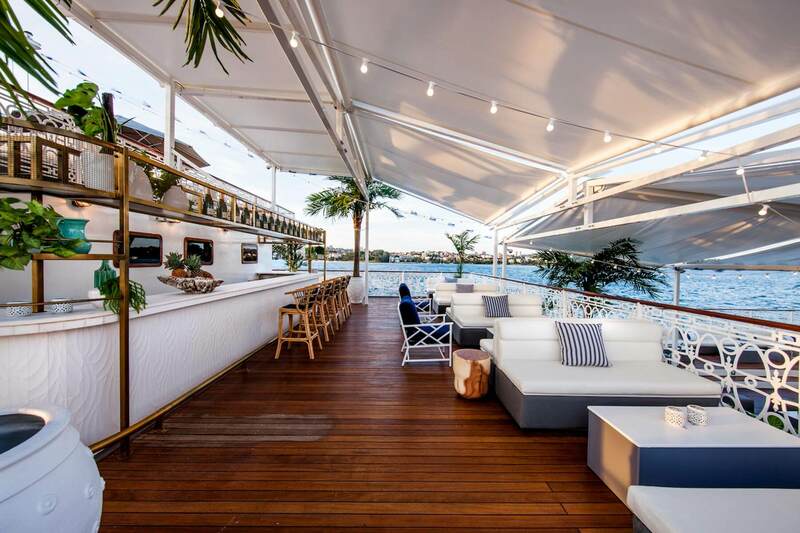 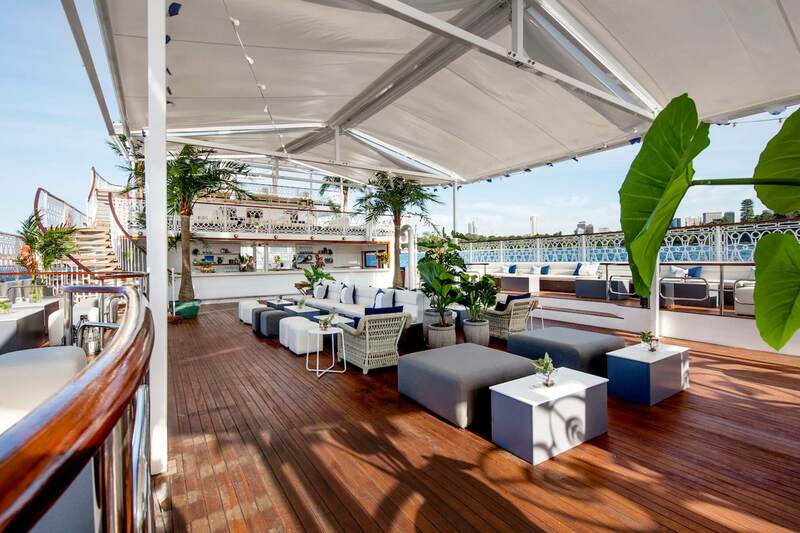 Sydney now has a venue worthy of our jaw-dropping harbour. 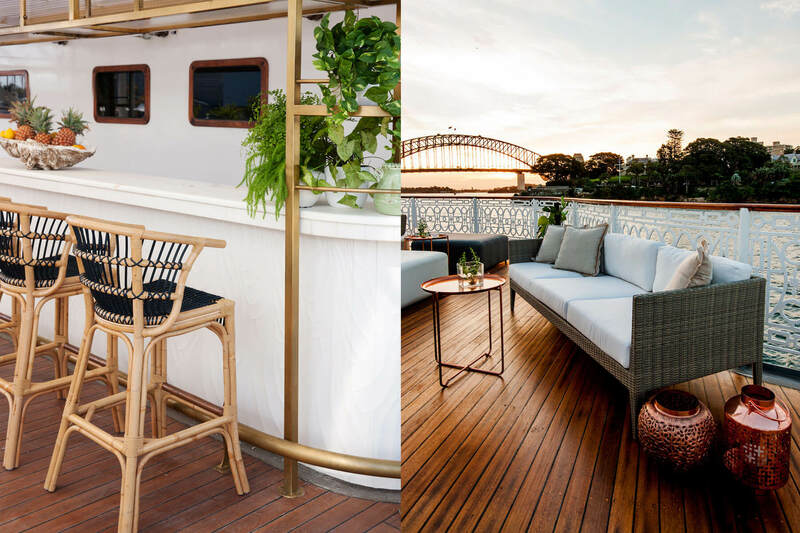 We designed a grand cruiser with bespoke fittings and finishes and a twist on classic nautical design, bringing the style and elegance of the Riviera to Sydney. 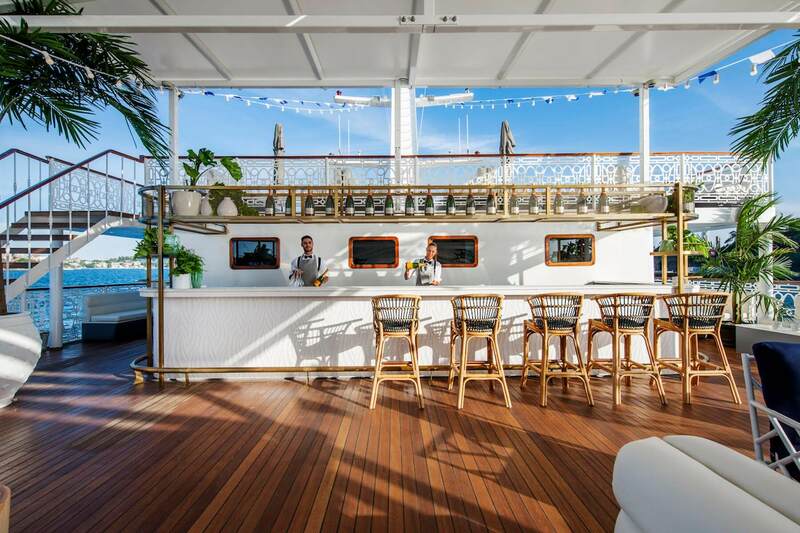 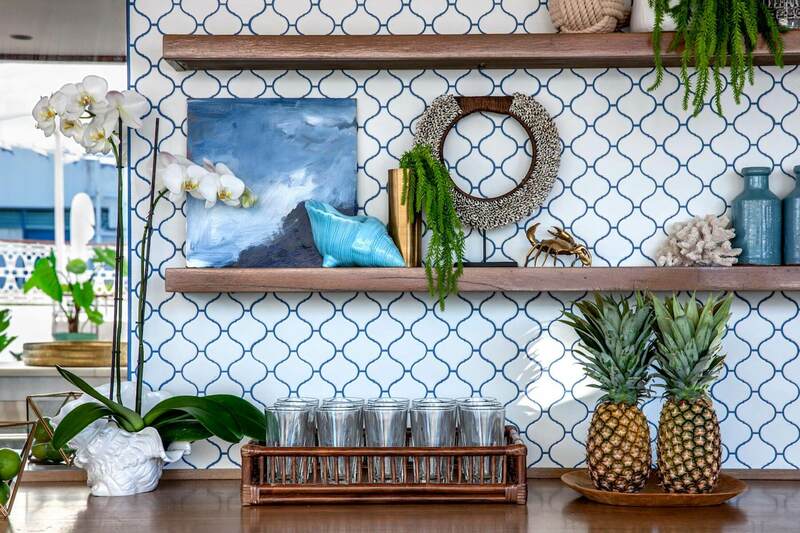 Curated decorations and iconic palm trees add to the vintage Lido vibe. 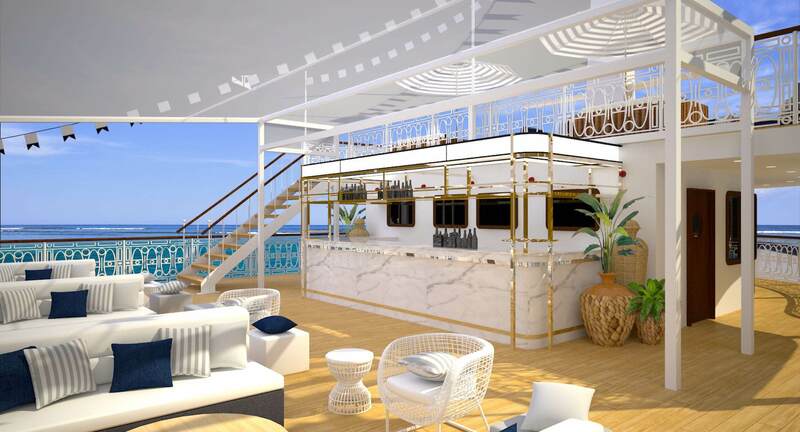 The challenge was to create a lush, VIP experience while designing for the harsh elements – an interior which would be exposed to wind, rain and sun.